Home Basic Accounting What is Authorized Capital? Maximum value and amount of total shares that a company is authorized to issue legally is termed as authorized capital or authorized share capital. It is the maximum amount a company can raise as capital in form of both equity shares and preference shares during its lifetime. This amount is decided during the formation of a business & is mentioned inside its constitutional documents such as Memorandum of Association, Article of Incorporation or a related document as per the country of establishment. Value per share is required to be decided by the promoters at the time of fixing the authorized capital, Authorized capital can be changed with the approval of majority Shareholders’ and often it requires a nod from the local regulatory authorities. 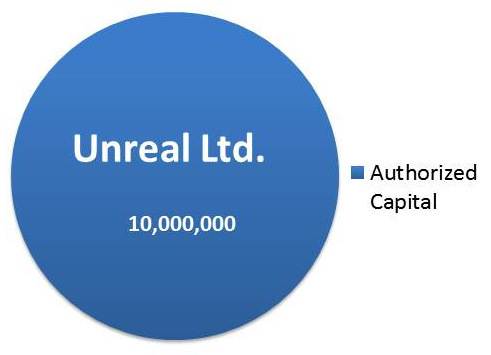 For example, Unreal Ltd. a newly formed company foresee its long-term capital requirements to be 10,000,000 & it is hence decided as the total authorized capital of the company. This amount of 10,000,000 is called Authorized Share Capital of the business. Authorized shares have not been issued to shareholders they simply define the maximum number of shares the company is allowed to issue. Hence, there shall not be any journal entry in the books of accounts. >Read What is Working Capital?